يشكل فندق Le Meridien Noumea بموقعه الممتاز في قلب هذه المنطقة الرائعة كنقطة انطلاق ممتازة لاستكشاف المدينة. يحظى هذا الفندق ذو 5 نجمات بمكان ممتاز يسمح بالوصول إلى المعالم السياحية الأكبر في المدينة، فهو يبعد مسافة 3 km عن صخب المدينة. كما يمكن الوصول بسهولة إلى عدة معالم سياحية قريبة. إن حسن الضيافة والخدمات الراقية التي تعرف بها Starwood Hotels & Resorts Worldwide تغني تجربتك في Le Meridien Noumea. لضمان راحة ضيوفه، يقدم الفندق الخدمات التالية: خدمة الغرف على مدار الساعة, واي فاي مجاني في جميع الغرف, أمن على مدار 24 ساعة, معبد, خدمة التنظيف يوميًا . في Le Meridien Noumea غرف نوم يزيد عددها عن 207 صممت بذوق وعناية لتوفر لك كل وسائل الراحة . بعضها يحتوي أيضاً على تلفزيون بشاشة مسطحة, رف للملابس, قهوة فورية مجانية, شاي مجاني, غرفة ملابس. إن كنو, تأجير معدات الرياضات المائية, الركمجة الشراعية, الغوص السطحي, حوض استحمام ساخن هو المكان الأمثل في الفندق للاسترخاء وتفريغ طاقتك بعد نهار طويل. اكتشف مزيجاً ساحراً من الخدمة الاحترافية والخيارات الواسعة من وسائل الراحة والمتعة في Le Meridien Noumea. لا تنطبق نقاط "ضيف ستاروود المفضل" (SPG) على الغرف المحجوزة من على موقع Agoda.com، ولا يتم احتساب الإقامة كنقاط تؤهلك للوصول إلى فئة النخبة. الضرائب الحكومية عرضة للتغيير دون إخطار وأي زيادة سوف يدفعها العميل مباشرة. There is no Wi-fi in guest's room all the days. I asked the front desk, different crew has different answer. Some said I can connect the Public Wifi in the room, but I can't find the hotspot in the room. Some said the Public Wifi can be only accessed in the lobby, the room wifi failed... the boy in the reception always said'I don't know'. Very disappointed that such a 5-star hotel can have such bad service. Great hotel in excellent location. We booked a suite with ocean views and thoroughly enjoyed. Only minutes to main strip where all the best restaurants and bars are located. Staff very pleasant and forthcoming. Pool area very relaxing and set off the beach. Best hotel that part of island. It is a beautiful resort - if you are looking for a resort stay. do not ask anything to the concierge, they may ask you to look on google yourself..
We had a lovely stay here for a week and its location was superb. Friendly staff and great facilities. Great location on the beach, snorkelling amongst dugongs, turtles and rays. Firstly, we were pleasantly surprised to be given a room with such a lovely sea view, which was unexpected when arriving late at night. The hotel is so well situated and very comfortable, with a beautiful pool area. Also, the staff at Le Meridien Noumea are exceptional - a special thanks to Damien, Brendan and the girls on reception for making our stay so memorable. They were very friendly, welcoming and helpful. Nothing was too much trouble and they provided us all the information we needed, to see and do everything to suit. They helped make the stay for my elderly mother and adult daughter, very special. L'Hippocampe Restaurant was exquisite and a very nice treat for my daughter and I, to share together. Our stay was everything we hoped for plus a lot more. 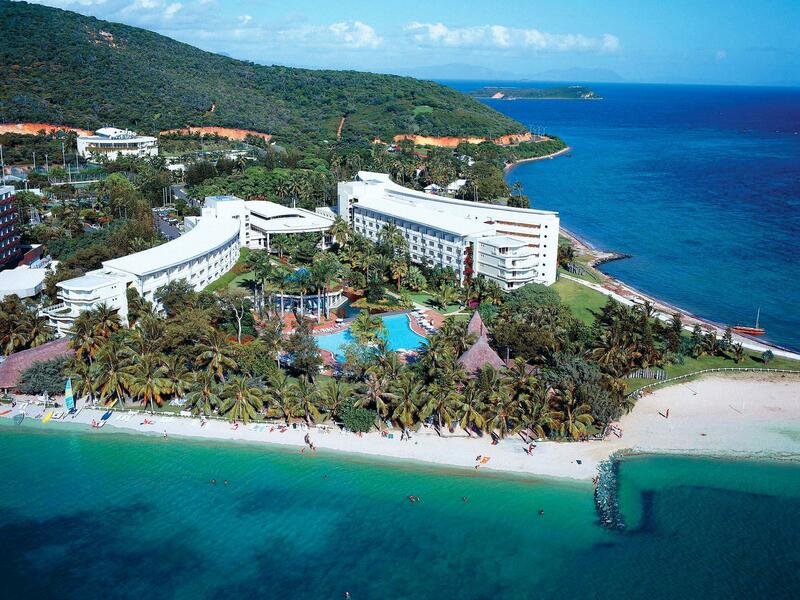 We look forward to returning to Le Meridien Noumea and exploring a bit more of the area sometime soon. Thank you, from Tanya Nicks (New Zealand), Pam Nicks and Raquel Donald (Australia). It was a great stay. 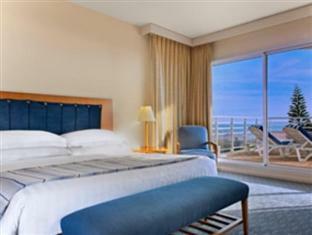 I had a ocean view & have truly enjoyed my stay at Meridien. My stay was ok at this date despite the fact the staff at the reception did not take in account my booking. They managed this quite well, but it is never pleasant to sustain some double checks to ensure your room was actually booked... I intend to come back there, will see if i notice some improvements. Qualité des équipements, qualité des repas, piscine agréable. Coucher de soleil exceptionnel. Malheureusement déçus par l'ensemble. Dommage pour un établissement comme le MERIDIEN. parking pas assez grand, surtout quand qu' on a une grosse voiture. Sie wollten mir für ein Late-Checkout mehr berechnen, als eine ganze Übernachtung im Internet ausgeschrieben ist. Als ich sie darauf aufmerksam gemacht habe, wurde mir gesagt ich soll dann doch im Internet eine zusätzlich Übernachtung buchen. Auch das Personal im Restaurant wahr extrem nachlässig und arrogant.